L. gumma, Eng. gum arabic. 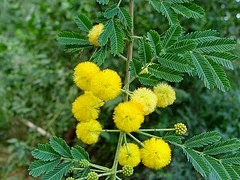 A yellow almost transparent dried gum yielding from species of acacia trees. It has been used as glue, in incense, to flavor food and medicinally. It is an all-natural gum, which has been used for centuries. In 1462, it was applied frequently in medicine as a pectoral in Castile. In England, it was mixed with vinegar to cure leprosy. As an ingredient for consommé, couscous and sausages, it was used frequently in Al-Andalus to thicken and bind ingredients instead of using eggs. The Archpriest of Hita refers to it as a lubricant. Recently, gum Arabic has been used in soda syrups until cheaper alternatives were found. It has been used when making gummy candies such as marshmallows, M and M’s, gum drops, chocolate candies and edible glitter. It is a staple in modern cake-decorating. Grind lamb into a large bowl. Sprinkle with garlic and salt. Knead until all is blended. Place feta and mint in a small bowl. Divide lamb into 12 equal parts. Make them into balls. Take 1 tsp of feta mint and deposit a spoonful in each ball. Push it into the middle of the ball and then smooth the opening over. Flatten each to make patties about 3/4" in diameter. Refrigerate until ready for consumption. Heat a frying pan and add a dash of oil. When hot add the patties and fry until golden brown on both sides. Keep warm in an oven until ready to serve. 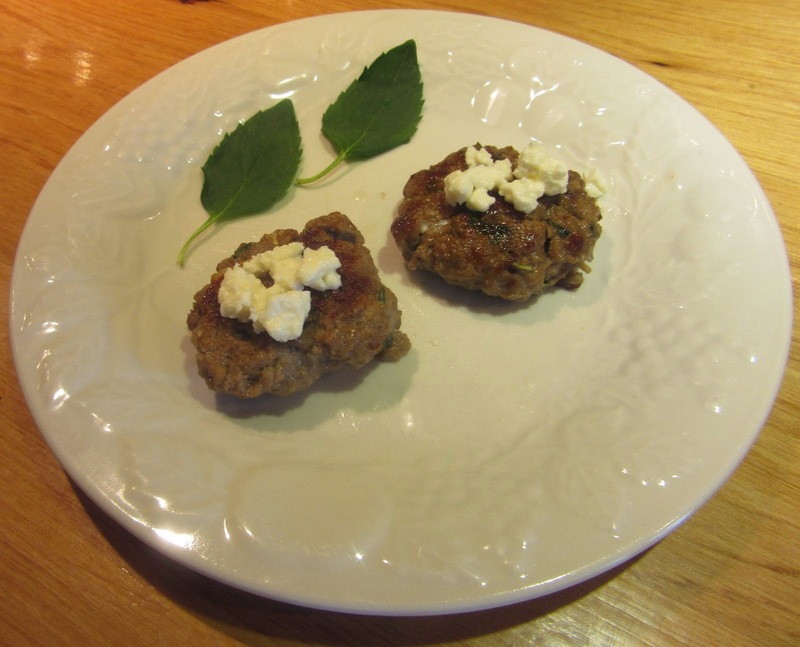 Prior to serving, garnish each patty with crumbled feta.